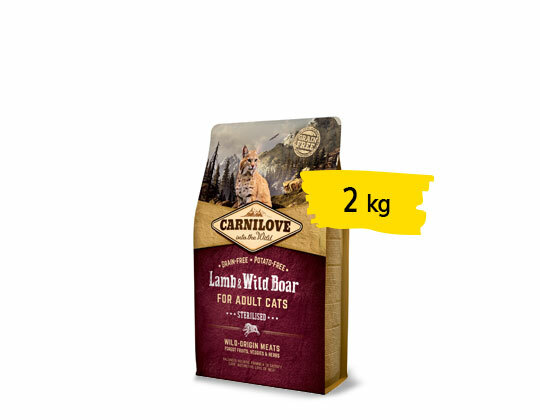 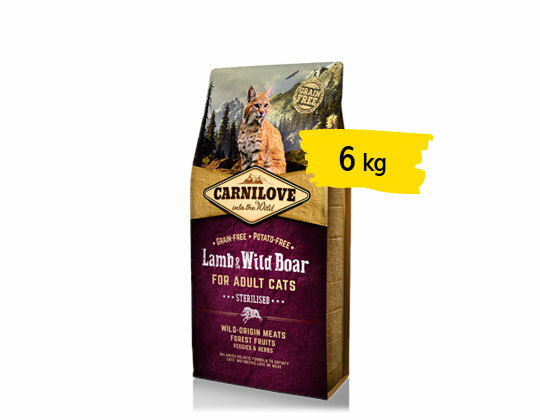 Carnilove Lamb & Wild Boar for Adult Cats has been formulated with respect for the natural composition of the feline diet. 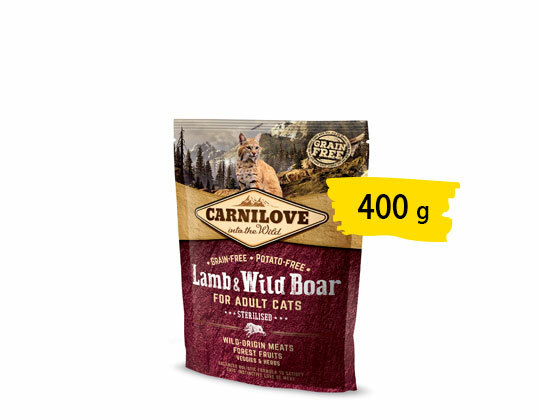 Lamb and game are highly digestible dietetic proteins that are ideal for maintaining perfect physical condition in sterilised cats. 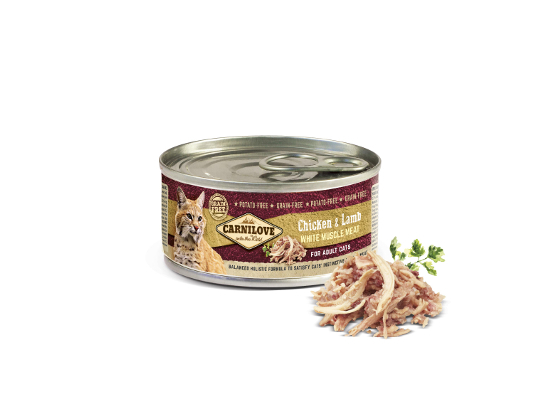 The controlled mineral content supports proper function of the kidneys and urinary tract, while the natural antioxidants obtained from fruits and herbs have cleansing and antiinflammatory properties.